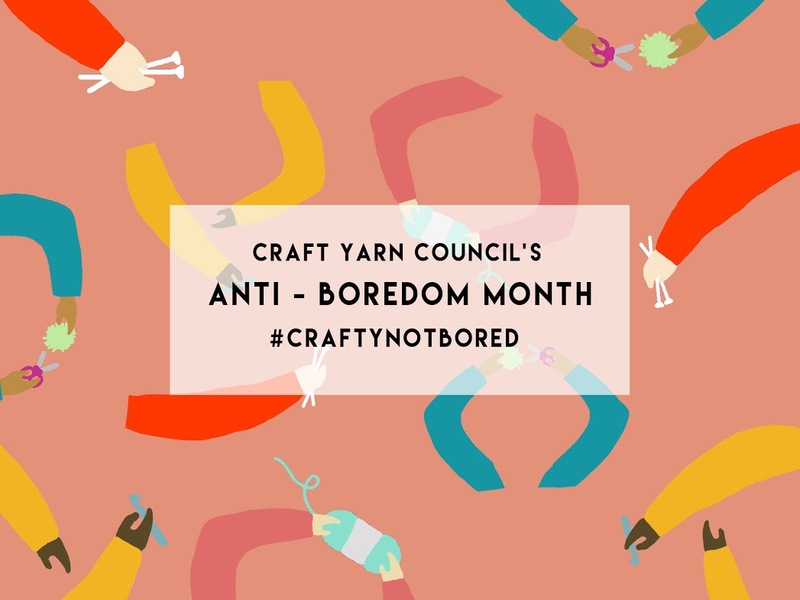 Today I want to tell you guys about a little project I’ve been working on with the Craft Yarn Council for July’s Anti-Boredom Month . . .
For an entire week I’ll be posting one free granny square pattern per day, each with a fun & unique theme! All of this is in an effort to combat summer boredom and make something new! Sound good? I think so too. The Craft Yarn Council (or CYC) is the yarn industry’s resource for everything crochet and knitting, from putting on “I Love Yarn Day” every year in October to working with the top yarn brands. They are an awesome group of folks, getting everybody working with yarn! Now those are my kind of people. 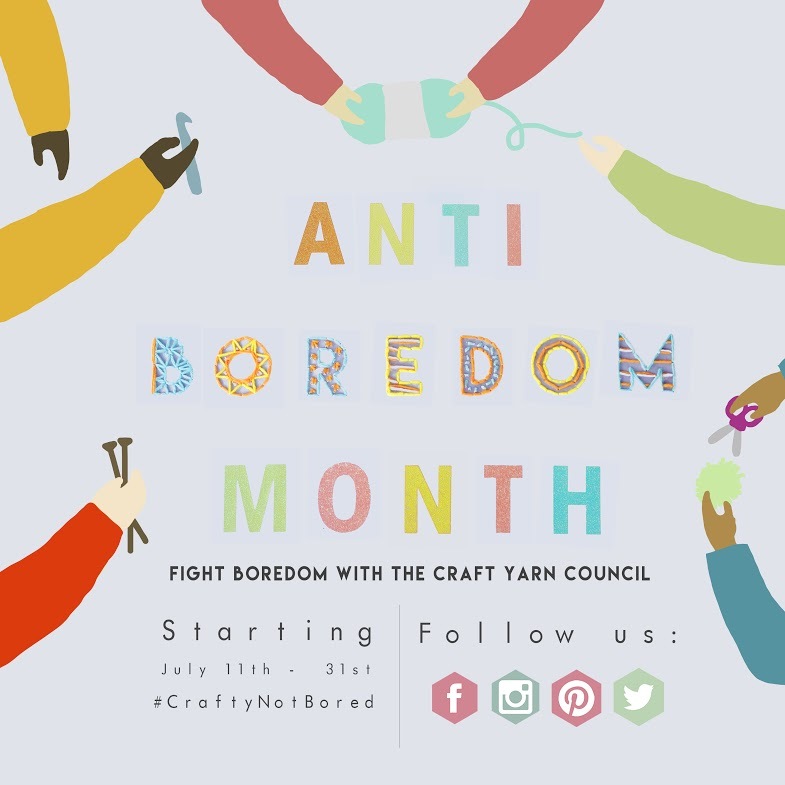 They are advocating for Anti-Boredom Month during July and have asked me to host their granny square week – yay! My crochet-a-long will be happening NEXT WEEK. Take a look at what will be coming up! Be sure to tag #CraftyNotBored on all your social medias – make one of these squares and show us your beautiful work! I’ll be watching this tag & can’t wait to see all of your lovely pieces. I’m so excited for you all to see these cuties and make some for yourself! How cute does a pizza pie granny square blanket sound?? Be sure to follow along on Instagram, where we will be posting lots of fun updates all week!